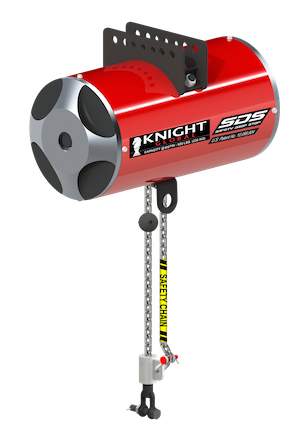 Knight’s Safety Drop Stop “SDS” Pneumatic Balancer is the safest balancer in the world due to its ability to prevent a hoisted load from dropping in the event that the primary chain fails. 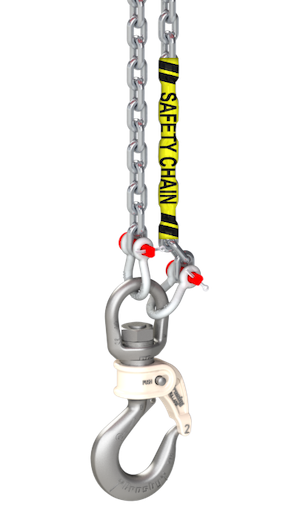 The “SDS” Balancer prevents potential injuries to your operating personnel. Pneumatic Balancers are used in applications where a “float” condition is beneficial. Float allows for the hands-free final positioning of an object. The up/down speed of an pneumatic balancer is quicker when compared to a hoist and allows for a “feathering” operation when locating the load. The pendant controls are ergonomically designed incorporating color-coded thumb levers. 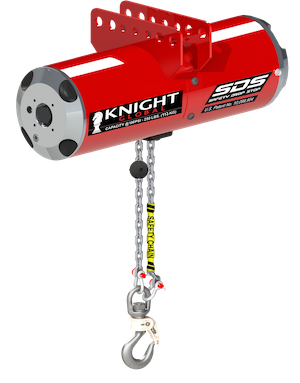 Knight chain balancers use a custom grade 80 lifting chain specially treated to increase the life of the chain by up to 300% over standard grade 80 lifting chain. Safety Chain: Rides along for redundancy. Max Balancing Capacity: Up to 700 lbs. [318kg]. Standard Travel: Up to 84 in. [2133mm].